Some of our 5th class pupils were lucky enough to be invited to the launch of the DEAR (Drop Everything And Read) Initiative in the CBS Library. 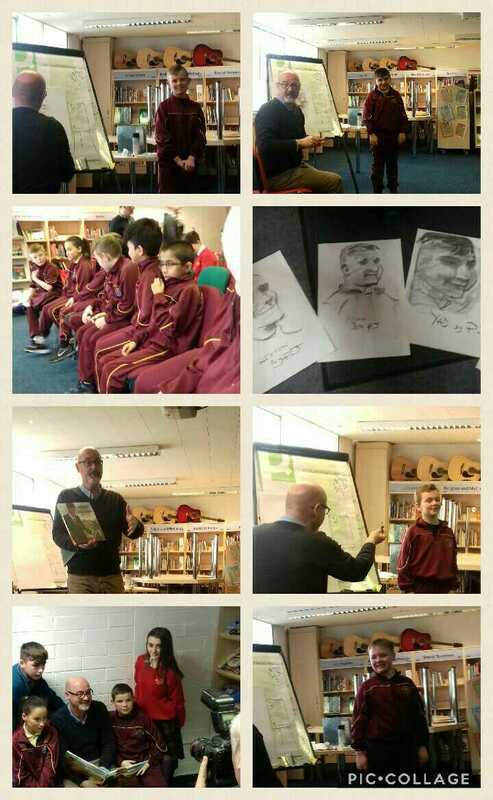 We met PJ Lynch, author and illustrator of The Boy Who Fell Off The Mayflower and he also illustrated Ryan Tubridy’s book, Patrick and the President. He spoke to us about the stories and illustrations in his books and told how he used his daughter as a model in his books. PJ used charcoal to complete some drawings of our pupils, which we will display in the school. Many thanks to the CBS and Siobhan, the librarian, for the invitation.